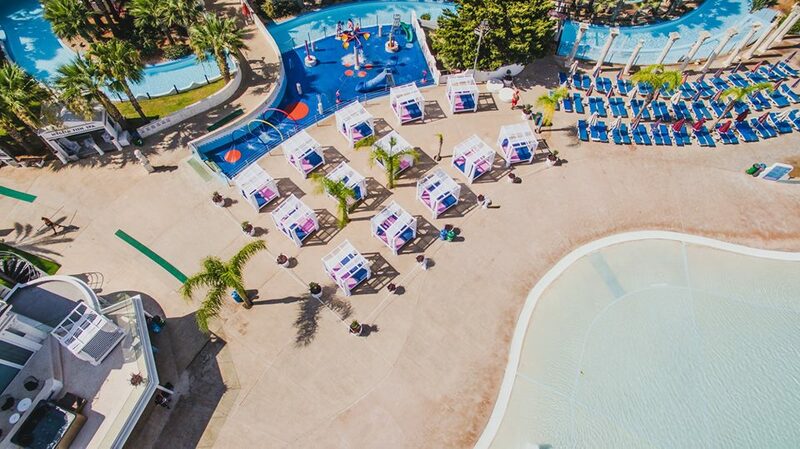 Add a touch of luxury and exclusivity to your next visit of Ayia Napa’s WaterWorld Water Park. Two complimentary fish spa visits and water are provided for every guest using the Thea Beach Cabana facility. 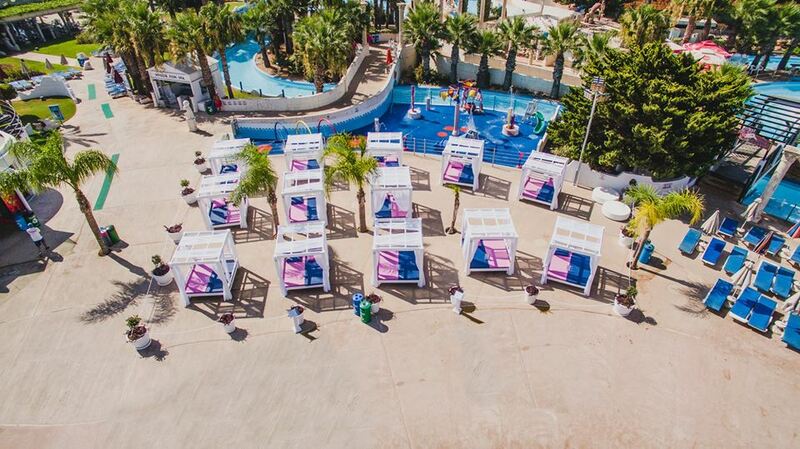 The 13 cabanas are advantageously located close to Poseidon’s Wave Pool and the waterpark’s other highly popular facilities. 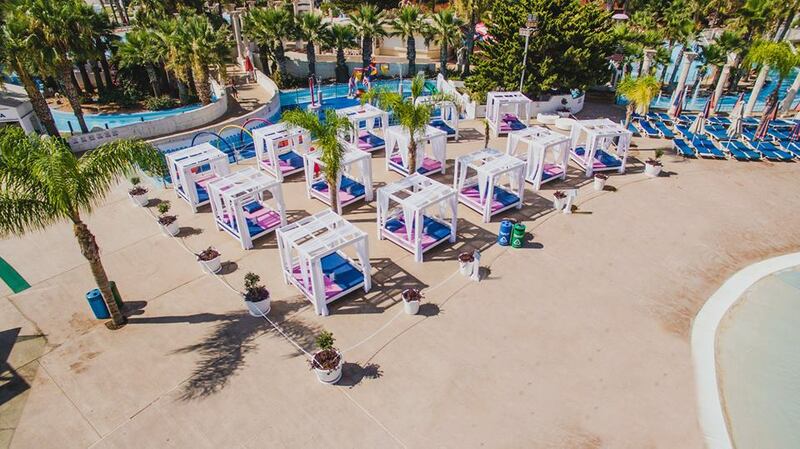 The comfortable 2×2 beds offer a sense of luxury, privacy and essential protection from the sun. 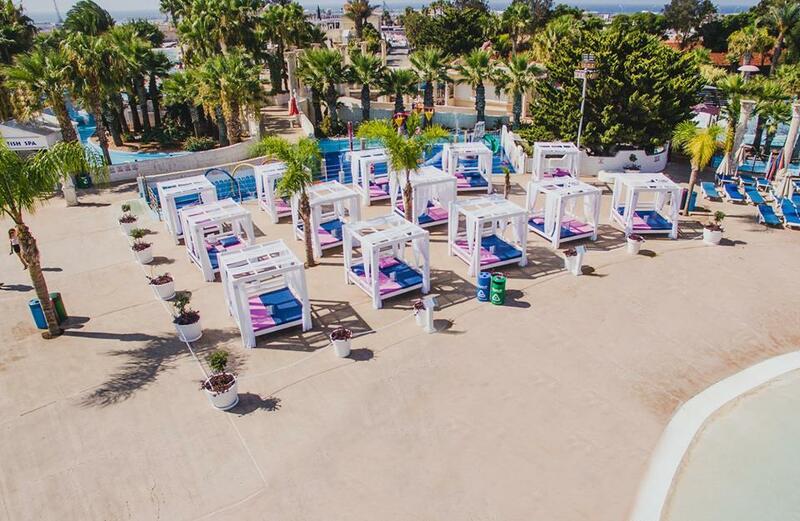 Thea Beach Cabana facility is sectioned off from the common areas in the waterpark and tastefully adorned with mature palm trees as well as tropical and local plants which add to the overall sense of luxury and exclusivity each cabana offers. 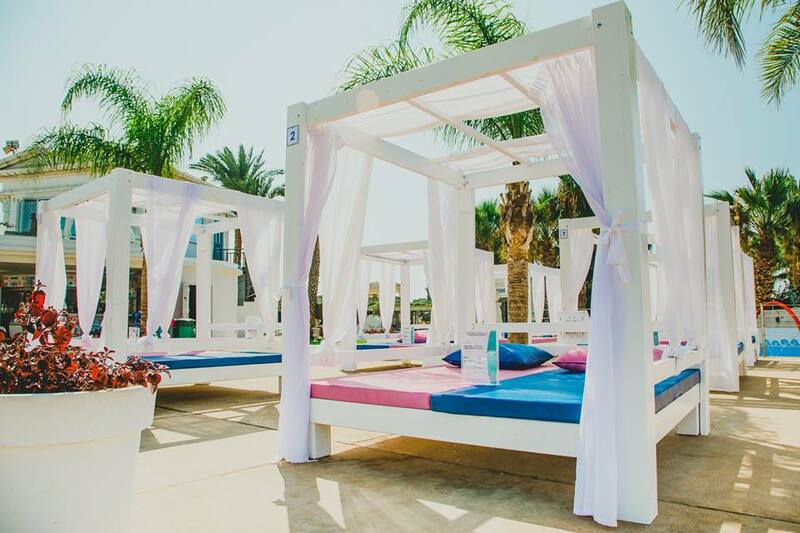 Thea Beach Cabanas take their inspiration from the cabanas found at Paradise Beach on Mykonos and used by celebrity guests who go there every summer. 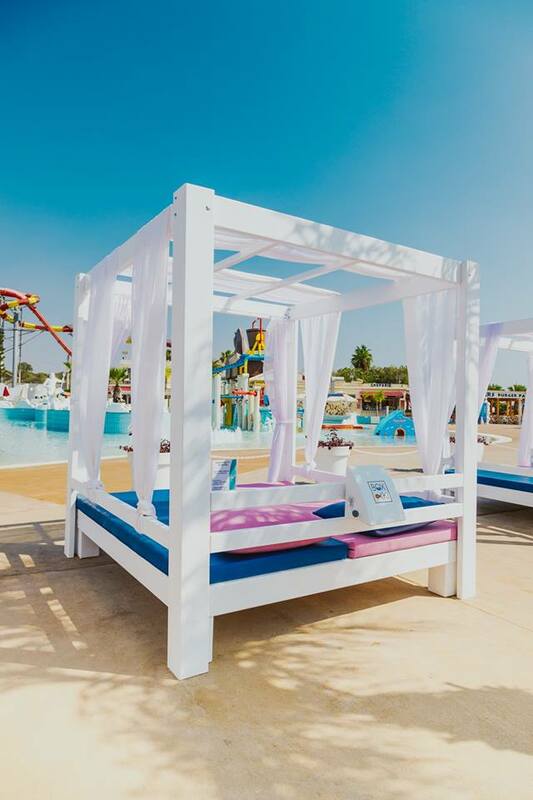 Every trip to WaterWorld Themed WaterPark is a memorable one but including a Thea Beach Cabana in the experience adds an additional layer of comfort and enjoyment to your day out in the sun. You can find out more about which cookies we are using on this page.